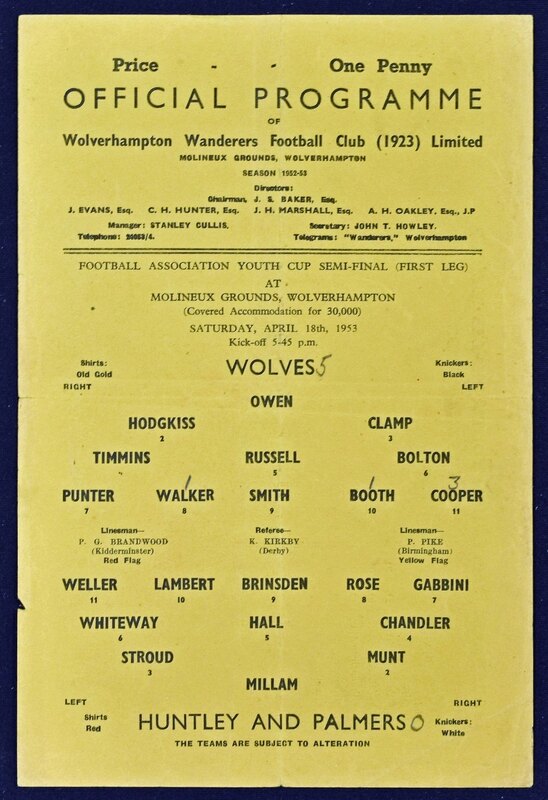 Scarce 1952/1953 Wolverhampton Wanderers Youth v Huntley & Palmers Youth team FA Youth Cup semi-final 1st leg single sheet 18 April 1953. Fair-Good. 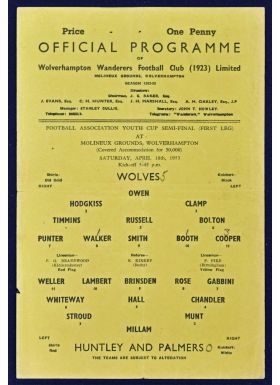 Worth a view.